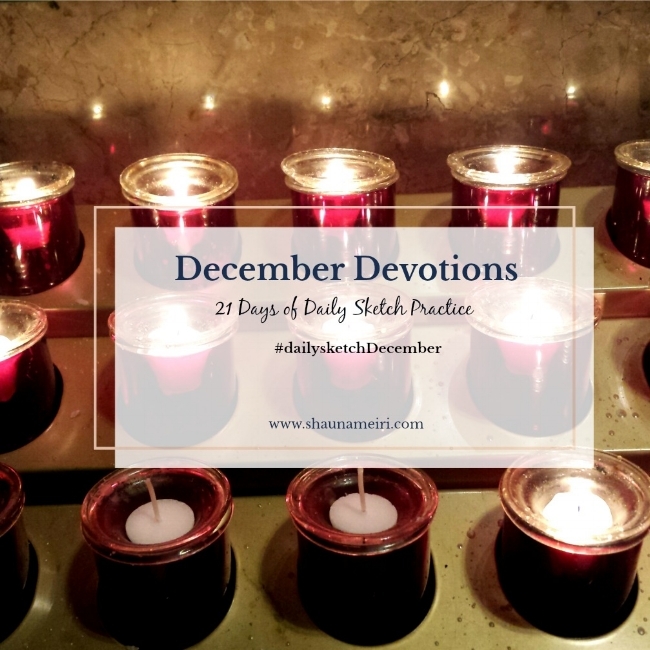 Beginning on December 1st, I am going to be doing one sketch a day for 21 days, finishing up just in time to mark Winter Solstice… and my sweet friends…you are invited to play along. No need to sign-up for a list, join a class, and there will be no rules to follow nor any collecting of homework! The energetic foundation of this experiment is two-fold. First, I am feeling the impulse to improve my drawing capacities. I have been diving into my painting skills, but my sketching and drawing practice still hovers around beginner level. I want to bring some improvement in this area back to the canvas. Technical development is part of my creative framework; also, it flat out makes me feel happy. Second, and just as importantly, as we head into the months where the days are getting shorter and the to-do list is getting longer, I am looking for simple ways to practice unapologetic self-care. Less daylight = PTSD and depression need increased management. Holidays = busy self-employed human, just about the time when my system is asking for more rest and deeper quiet time. Sketching is a great reset for my neurological system and my sensitive heart. Rather than putting this practice in the ‘more work’ category, I am looking to approach this through the doorway of devotion. If you want to know more about my take on this, you can read this post on love, creative practice, and devotion. It’s an oldie but a goodie. Work with what you love. 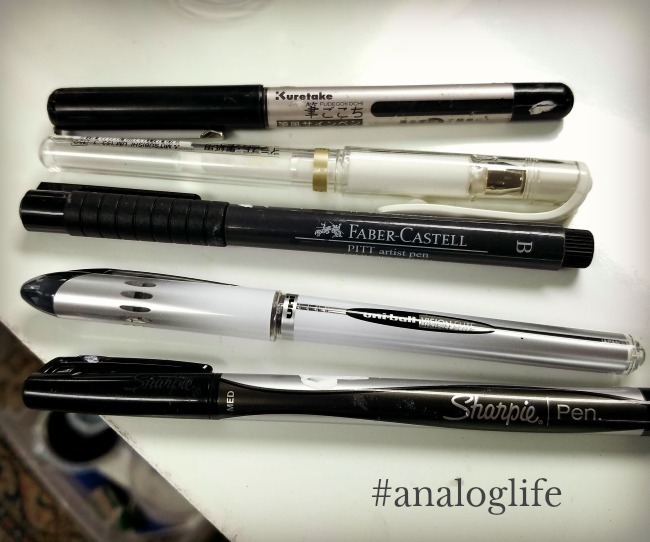 I will mostly be sketching with a small collection of pens and pencils and a small sketchbook that fits in my purse. My favorite art supplies make me happy. A great question to ask yourself is this: what supplies make your body smile when you pick them up? Approaching this with a sense of ease and relaxation will be key to making this something to look forward to vs. “have to”. Sometimes, 5 minutes with pen and paper can change my entire outlook on life. There is something about engaging this part of my brain that generates increased well-being (we could get into the neurological reasons why that is so, but I’ll save that for another day!). The key is committing to one daily sketch. Most days I’m likely to spend more time, but starting out with small, simple intentions held with great love (not discipline) works for me. You know what works for YOU…do that! You have two options: work with something from the list below OR feel free to sketch what you like. You might take this time to sketch 21 days of faces or 21 hands (I would cheer you on for hands! #lifegoals). Perhaps you’d like to sketch a furry friend. If you get stuck for something, you can just refer to the list and grab your pen! This is not art class and there will be no grading of results. Beginners or advanced…even if you have not sketched a single thing since kindergarten…everyone is invited. Want to follow along on social media? I’ll be using the hashtag #dailysketchDecember in my Instagram stories (you can find my account HERE). Here’s something I want you to consider though: does posting on social media add to your sense of relaxation or well-being? If not, this is a practice you can do just for yourself with no need to post to a group, your social media accounts or to a classroom. You can join us at any time during December; this is an informal, relaxed thing. I hope this practice brings you a little peace and calm during the days ahead.